Overcast with rain showers at times. High 44F. Winds WSW at 5 to 10 mph. Chance of rain 90%.. Considerable cloudiness with occasional rain showers. Low near 40F. Winds WNW at 5 to 10 mph. Chance of rain 40%. 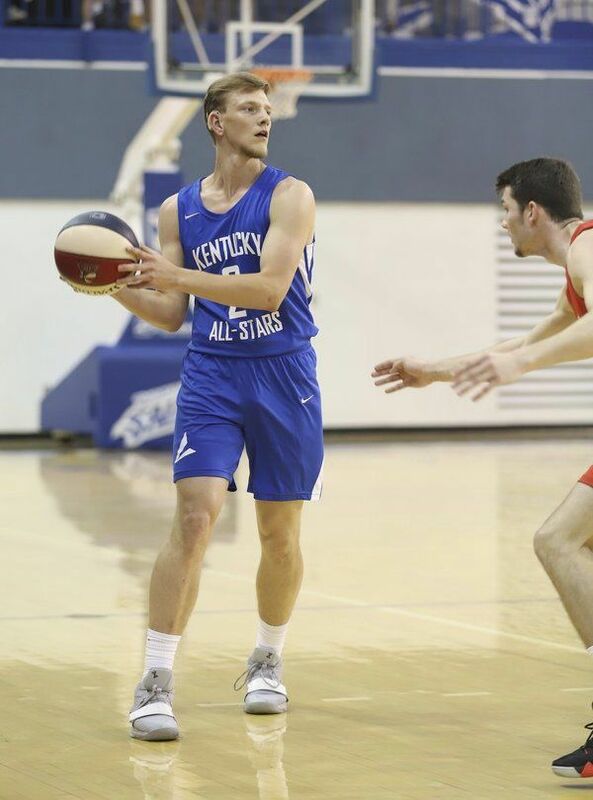 CRESTVIEW HILLS — Knox Central’s Nick Martin and South Laurel’s JJ Ramey saw their high school careers come to an end on Saturday after the Kentucky All-Stars dropped a 112-108 decision to the Ohio All-Stars. Even though their team lost, it’s an experience both players said they’ll never forget. “This was great. I got to meet a lot of great players from the state of Kentucky, and to be able to play with those guys is pretty awesome," he said. "I’ll never get to do this again, and I consider myself blessed to be able to do it. 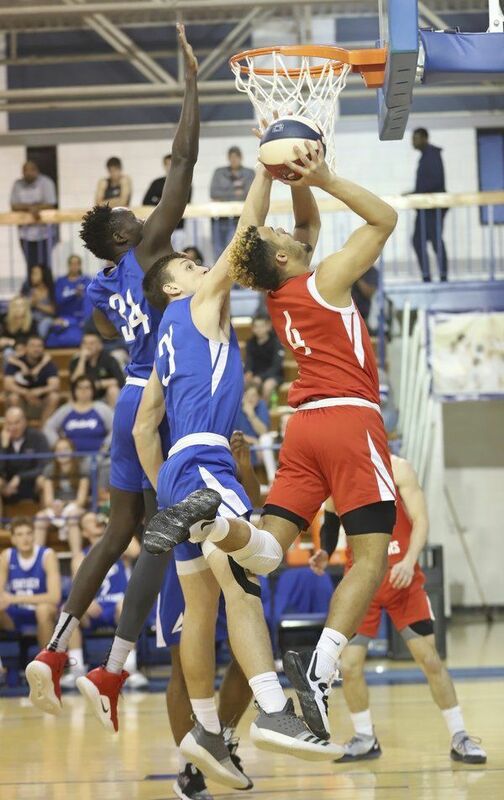 Ramey finished the game with 11 points and four rebounds, and also won the Slam Dunk Contest on Friday by edging out University Heights’ Kyky Tandy. Martin scored two points and came up big on the defensive end, finishing with two rebounds and two blocked shots. “After I knocked my first shot down, I felt OK,” Martin said. “All I was worried about at first was playing defense. I knew if I play good defense I’d get into the flow of the game. Both players will now further their basketball careers at the college level — Ramey at the University of Pikeville, and Martin at Asbury University.